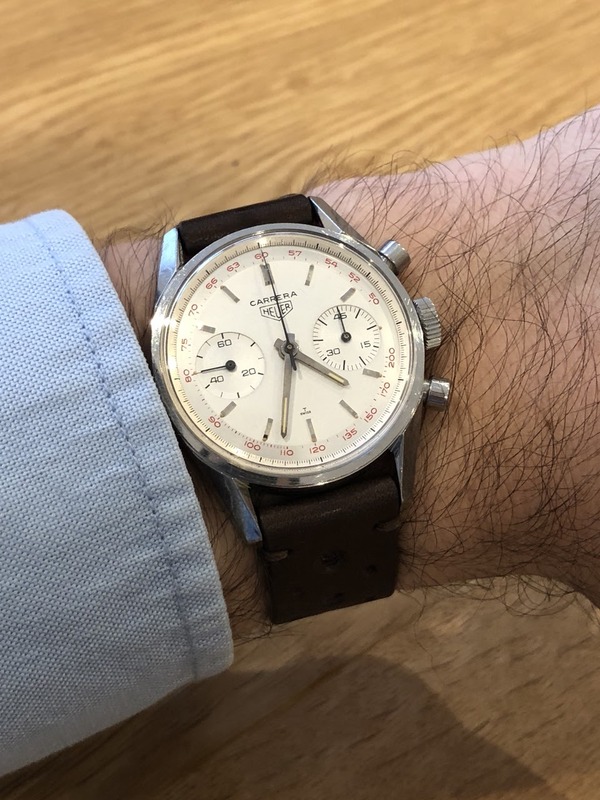 TAG Heuer - Finally back on my wrist. Finally back on my wrist. Been a while since I left it with guys at Watches of Switzerland Regent Street. Due to age it had to go back to Switzerland for a full service. They’ve also changed the plexi for a new one and cleaned the dial a bit. Super happy with the result.